To anyone who knows me in real life, and actually, probably to anyone who reads my blog, it's no secret that I am "housework challenged." I have a terrible time keeping track of what needs to be done, or even knowing what should be done on a daily basis, much less on a monthly or annual schedule. 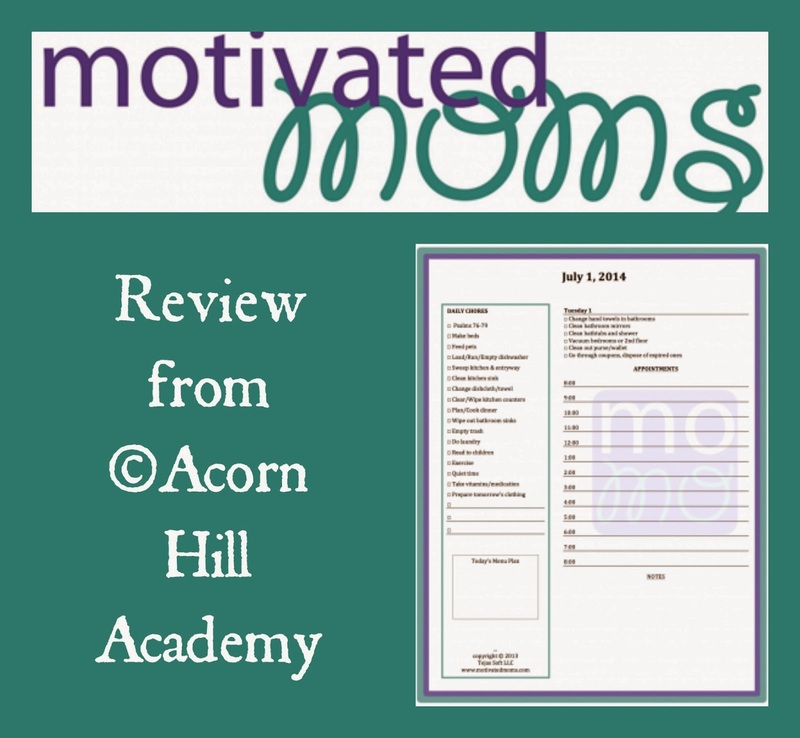 One thing that has helped me tremendously is the Motivated Moms Chore Planner Ebook. I have used it for several years now, and was thrilled to have the opportunity to review it for you! 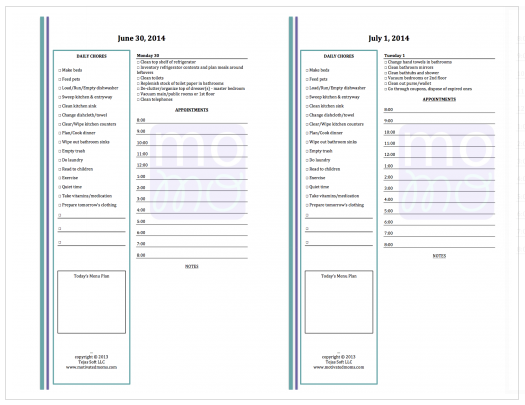 The Motivated Moms planner provides a chore schedule for you, so you don't have to make one yourself. The list includes yearly, monthly, weekly, and daily tasks, and if you complete the tasks on the list each day, your house will stay consistently clean and picked up. You'll find everything from clipping children's fingernails, decluttering a bit at a time, cleaning your refrigerator (one shelf per week) to cleaning the kitchen light fixture. I have read many, many books on how to clean my house, how to declutter my house, how to have my kids help clean my house, and honestly, the Motivated Moms house system is the only thing that has worked for me. I prefer the printable planner, myself. I tried the app last year. 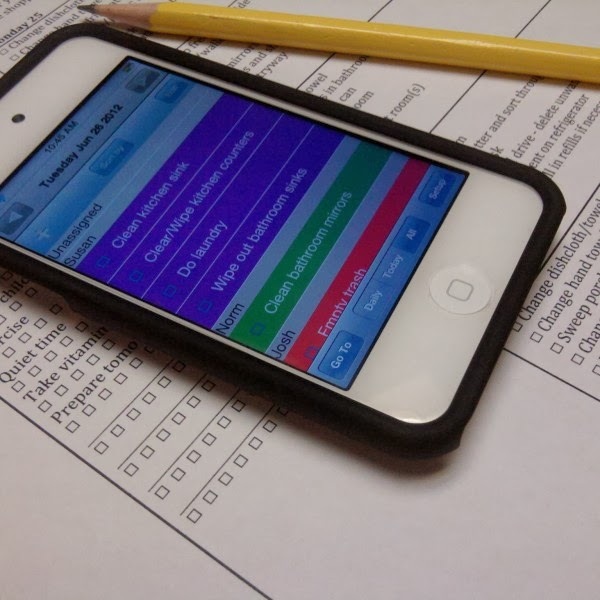 It has some cool features, like being able to assign colors to the kids and add custom tasks to your heart's content. I found it was too easy for me to ignore it on my iPad. This year, they added some new features, including being able to email and print the task list, manual sorting of tasks, and synching between devices. The synching trick might persuade me to try it again next year, because each child in my house has an iPad (I know, I know) and that would be easier than having it just on mine. One thing I love about this planner is, each day is new. You don't have to carry over the chores you didn't finish. I suppose you could, but I don't. I do what I can every day and aim to get better about completing each day's list. The lists are very doable; I am just easily distracted and forget to check what I'm supposed to be doing. I'm already much further ahead than I was, and the list really does help keep me on track. This year, I decided to try the half-sheet version. I have a half sheet sized purple binder, and I printed my pages and put them in that. I take out the daily page and stick it on our kitchen white board, where everyone can see it. My girls and I each choose three things from the list to do in the morning, and then I try to get to the rest of the items throughout the rest of the day. I can also have my 6 year old help with many tasks, like changing the hand towels in the kitchen and bathroom, feeding pets, and helping unload the dishwasher. The only drawback I found with the half-sized version was that the PDF file is not set up for double-sided printing. I did print it on both side of the paper, and the days ended up being out of order. The months ended up grouped together for the most part, and it's not a big deal to do a little flipping to find the current day's page, but it would be nice to be able to print it double-sided. I wouldn't have minded printing it on single sheets, but it wouldn't have all fit in my little binder. I understand why they did it this way; if they made it so that it printed properly on both sides of the paper, it would be funky-looking for those who prefer to print one day at a time. This was not an issue with the full-size planner. The Motivated Moms Ebooks are available in full page and half page versions, with or without daily Scripture readings, with color or black and white. The price, no matter your chosen format, is $8.00. The app is available for either $.99 per month ($1.99 for your initial purchase, which includes 2 months) or $7.99 for the year. I love this system so much that I became an affiliate. If you'd like to try it for yourself, please feel free to use the purple "MoMo" button on my sidebar to click over to their site for purchase. Connect with Motivated Moms on Facebook and Twitter!